Home > News > Get Ready for the 2019 Season of Science in the News! 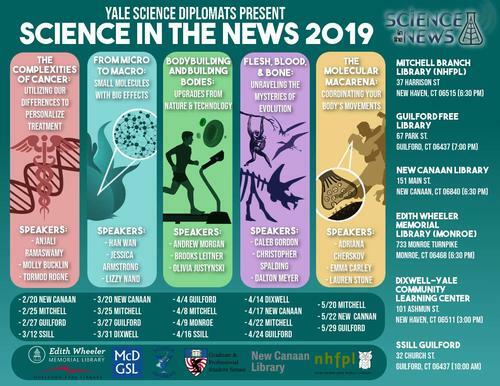 Get Ready for the 2019 Season of Science in the News! Science in the News has released their schedule for the 2019 season. There will be five sets of talks at the Mitchell Branch of the New Haven Public Library, the Guilford Public Library, the New Caanan Library, and a fourth rotating location!